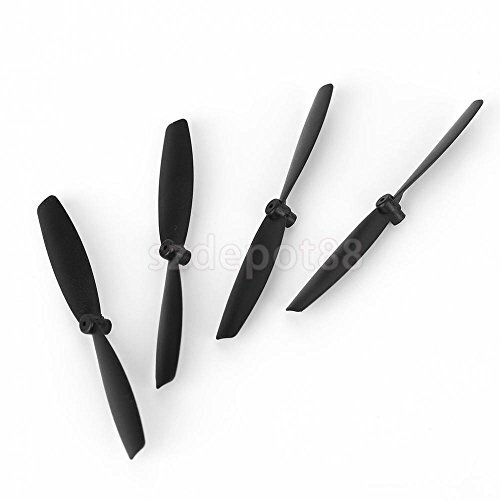 4pcs 60mm Fixed-wing Propellers for Small Racing Drone UAV Quadcopter Black by uptogethertek at Open Drone. Hurry! Limited time offer. Offer valid only while supplies last. 100 brand new and high quality quick release, easy to install material: plastic color: black. Fixed-wing desigh, lightweight for light flying spare parts for small rc racing drone uav quadcopter size chart: 60 x 10 x 5mm/ 2. 36 x 0. 39 x 0. 19inch. We offer a 100% satisfaction guarantee. Your happy & comfortable shopping is all we want. Package includes: 4 pieces propellers. This item shipped from china.